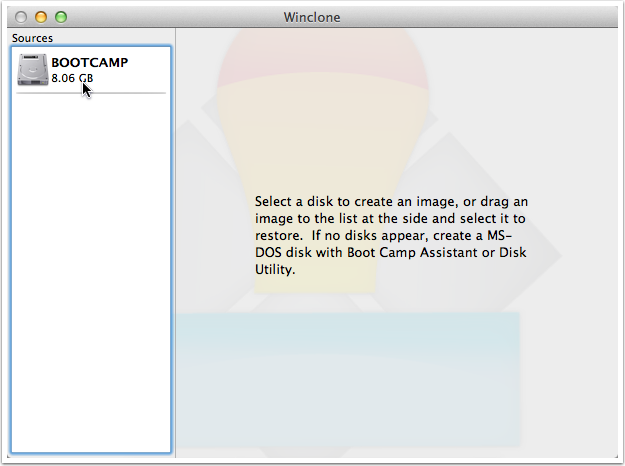 Winclone allows you to resize your Bootcamp partition. 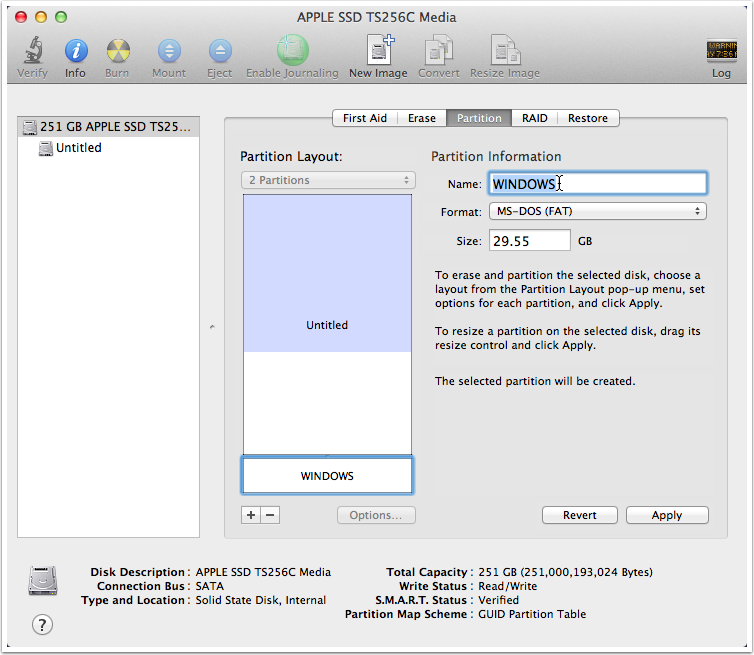 This process consists of shrinking the size of the current bootcamp partition, creating an image of the current bootcamp partition, deleting the current partition, creating a new partition with a new size, then restoring the Winclone image. 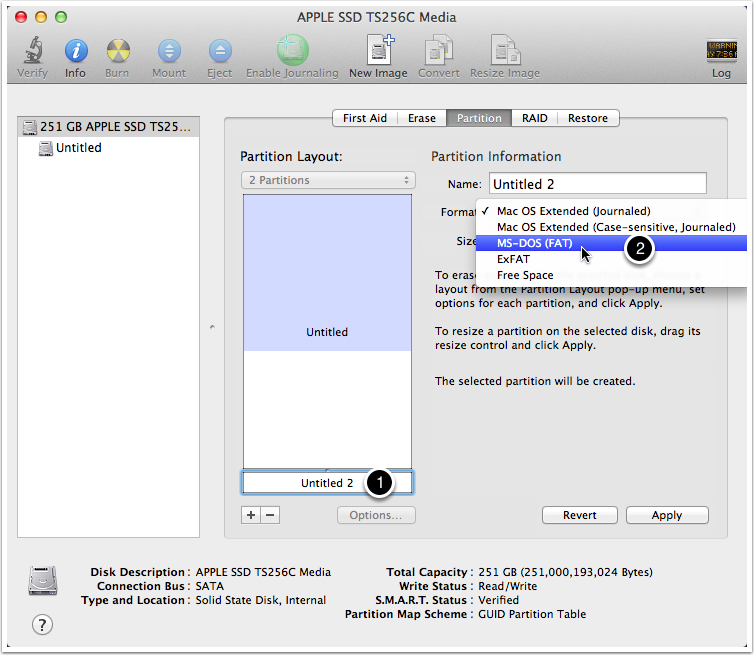 Make sure you have a good file based backup of all data on all partitions prior to starting these steps. While Winclone has been tested in a variety of setups, there is still a possibility of data loss due to hardware or software issues during the clone and restore process. If you are going to be restoring Windows on a partition that is smaller than the current partition, you need to shrink the filesystem first. If not, skip to step 7. 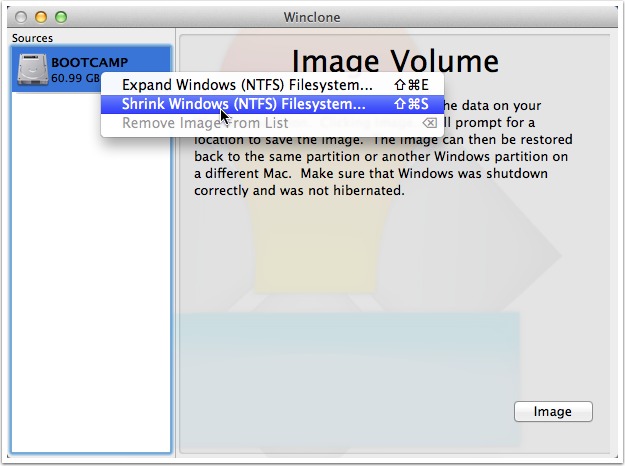 To shrink the NTFS filesystem, control-click on the bootcamp volume and select Shrink Windows (NTFS) Filesystem. Verify that you want to shrink the filesystem. The filesystem will be reduced to the smallest size possible. After the bootcamp partition has been resized, you will see the new filesystem size. Note that this is the smallest partition size available and you'll need a bootcamp partition that is the same size or larger to restore the filesystem. 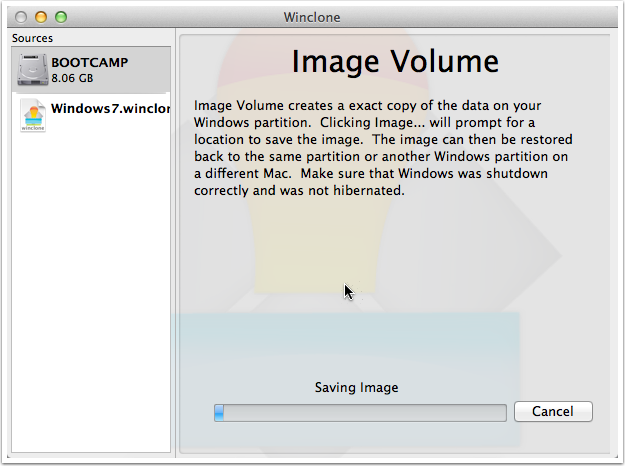 You are now ready to create an image of the bootcamp partition. 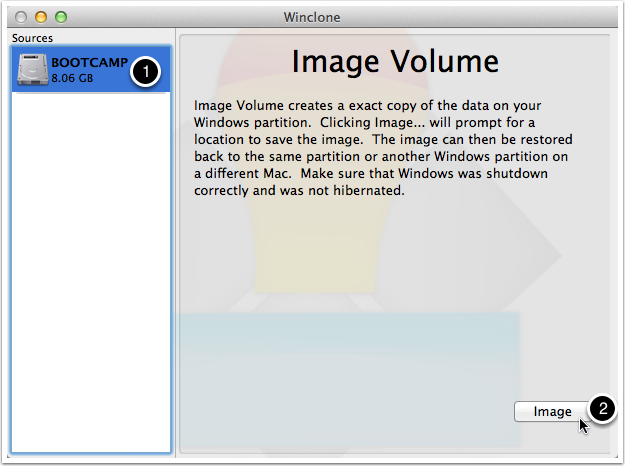 Windows keeps a large file called a pagefile.sys on the Bootcamp partition. This file takes up a lot of space and is recreated on startup. However, if a drive is already failing or has corruption on it, deleting files may cause issues. 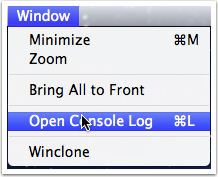 Select to Keep Cache Files or Remove Memory Cache Files. The Winclone image will now be created. 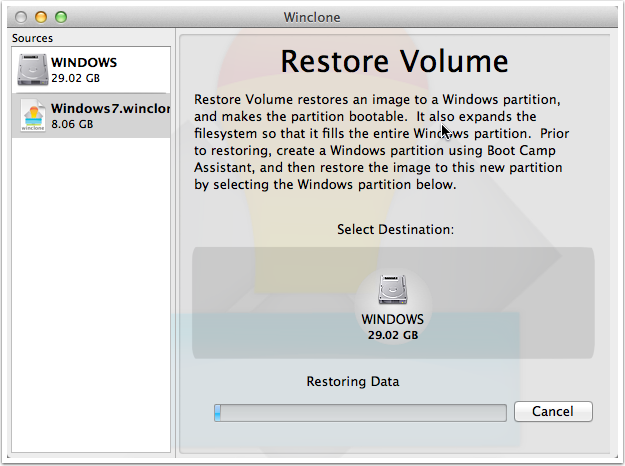 Depending on the size of your bootcamp partition, this may take a while. Once the imaging process completes, you'll see a confirmation. 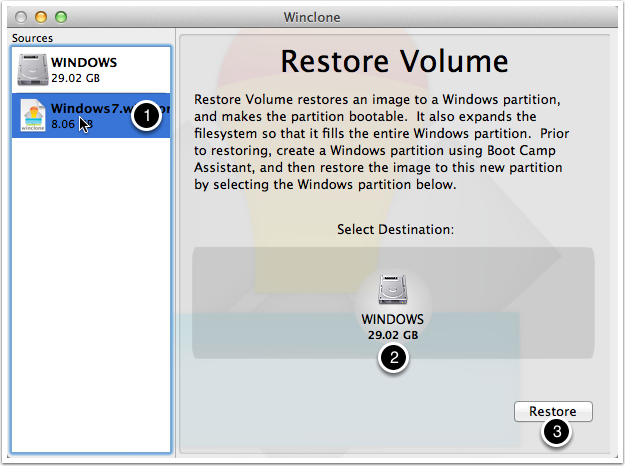 MAKE SURE YOU HAVE A FILE BASED BACKUP OF YOUR WINDOWS PARTITION PRIOR TO THIS STEP. This will destroy any Windows data on your bootcamp partition, and if you are unable to restore the image you created in the prior steps, all data will be lost. Make sure you have a file based backup of all files on the disk prior to this step. 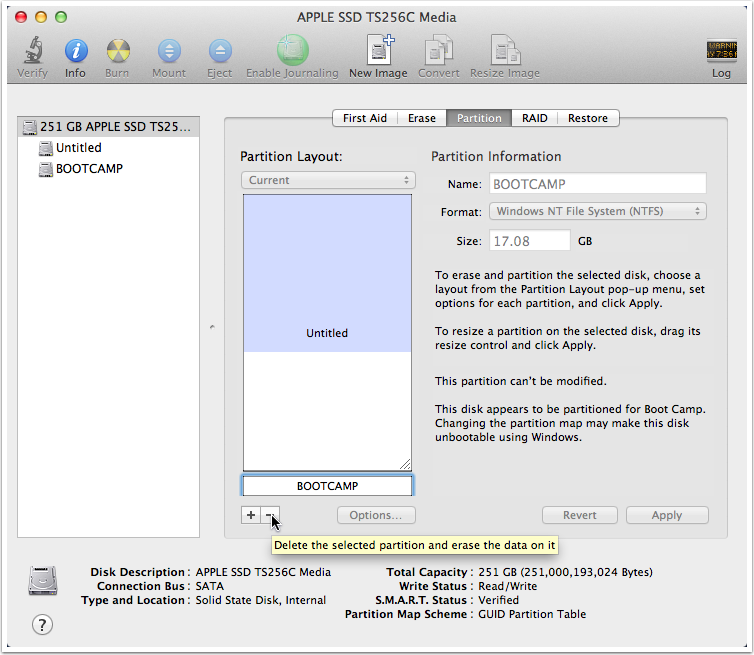 Remove the prior Bootcamp partition by selecting it pressing the "-" button. If you have a good backup, click Remove. To create a new Windows partition, click +. In order for Winclone to see the partition, it must be formatted as FAT. 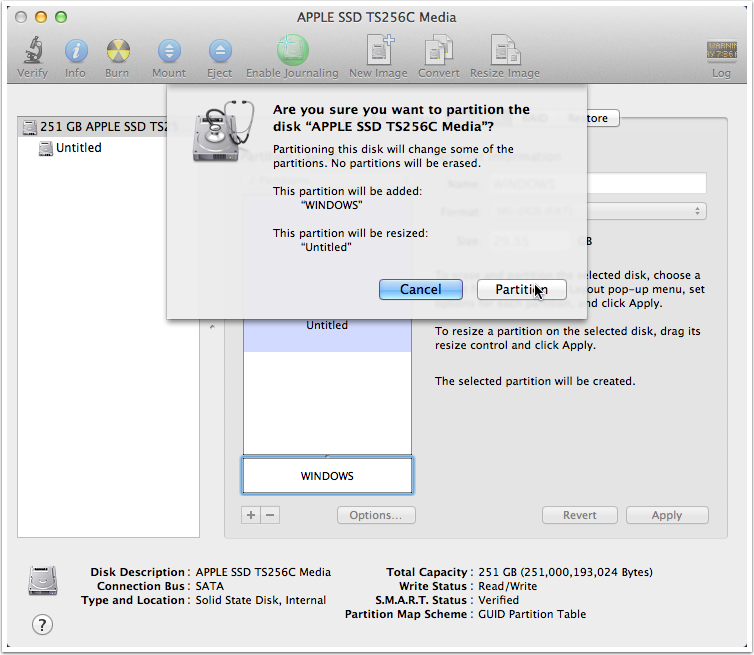 Disk Utility will verify the operations that it is performing. 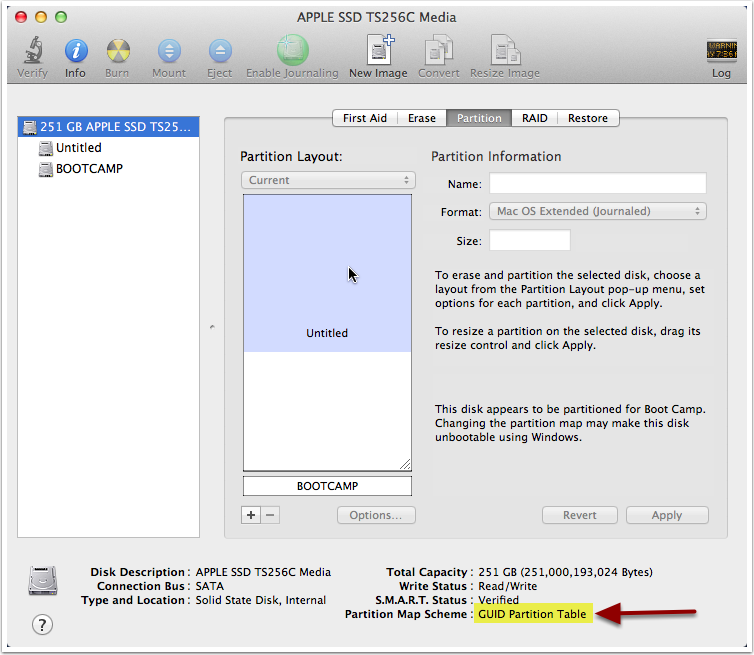 Make sure that the Mac partition is being resized and that the bootcamp partition is being added. If this is correct, click Partition. Back in Winclone, select the Winclone image you created, select the bootcamp volume, then click Image...You do not need to quit and relaunch Winclone, as it will detect any new partitions. In Windows Vista and Windows 7, Windows uses a boot file called BCD to determine which partition is used to boot. If you did not do any custom BCD configuration, select "Replace BCD". Once rebooted into Windows, if the filesystem expanded, a disk check will be performed, and then Windows will reboot. After this reboot, you'll have a fully restored system. Article published: April 21, 2017 03:05 . Article last updated: April 21, 2017 03:05 .